I’m kind of confused about the meaning behind this site- I mean, I get that you’re into 116 clique, video games, and Jesus, but which one is the centre? Do you evangelize while shooting people in virtual reality? That would be interesting, to say the least. I can’t claim to be perfect, I play video games and enjoy rap, but these are my side hobbies, not the main reason I’m alive. Again, I’m kind of confused. Well, Actually.,, The 116 Boyz has NOTHING to do with the 116 clique. 116 – Romans 1:16, Boyz (We are all males, accountability) Z – Zealous for God. 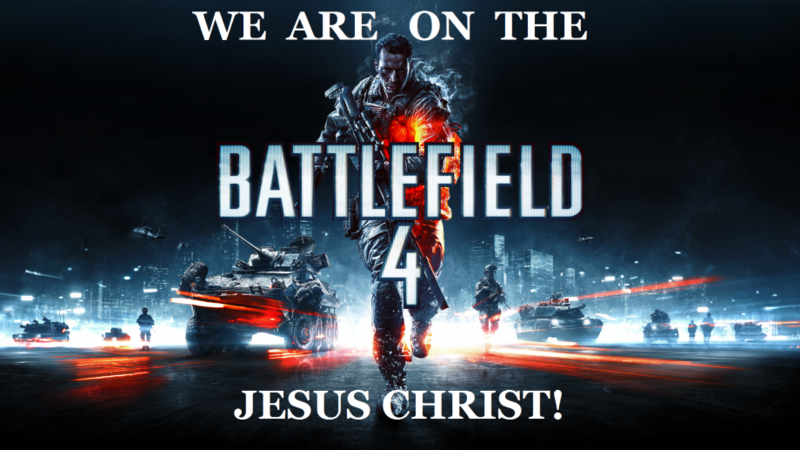 There’s 2 things that we are all about… in order, Jesus & video games. Jesus is 1st. Since you added VR…. No. I don’t VR but yes I would & hope others would too. But not all video games shoot. But I do evangelize to ALL gamers in ALL games. Shooting a video game character isn’t murder. Or should I go to the police station, and turn myself in because I am a mass killer? They would laugh at, probably arrest because I am crazy, when I share with them I kill people on video games. Okay. Is video games a sin? It can be. So these are your side hobbies? What’s your main reason that your alive? I’m really confused. Let’s start here, are you born-again? Next question, why do you play video games? Every game I play, isn’t a sin. Reason why, I evangelize to 99% of gamers. I hope other people do it too. Think about this, you play a game for selfish reasons, you just want to have fun, relieve stress. Okay. I game for Jesus. I know on multi-player there are live people holding a controller that need Jesus. 150,000 people die every other second. What if 1 of the guys die after I get done playing with them? & I didn’t speak a word. But again, you have NO idea. Is this NOT the greatest place to share Jesus? Play a few hundred/thousand dollars for gaming equipment. Then to pay that for 1 trip around the world. And people who don’t leave their homes/rooms how will they hear about Jesus? I’m guessing your a “Christian”? So, its okay for me to play a game, be a Christian but not say anything? When Jesus said if you don’t LOVE you are nothing. LOVE is an action word. If you are born-again, you need to re-think this… So how did you come across us? Jesus bless you! Thanks for responding and clarifying a few things- the 116 bit, Zealous, Virtual Reality, etc. I am indeed a Born-Again Bible-Believing Christian, I also agree that not all video games are sinful. But I would like to politely point out Jesus’ words in Matthew 5:21-22- “You have heard that it was said to the people long ago, ‘You shall not murder, and anyone who murders will be subject to judgment.’ But I tell you that anyone who is angry with a brother or sister will be subject to judgment. Again, anyone who says to a brother or sister, ‘Raca,’ is answerable to the court. And anyone who says, ‘You fool!’ will be in danger of the fire of hell.” It may not seem obvious here, but what Jesus is doing is taking the Law to a whole new level (earlier he says “Do not think that I have come to abolish the Law or the Prophets; I have not come to abolish them but to fulfill them.”). Jesus is showing us that the content of our heart is not good, it is sinful, and that thought crimes are actual crimes in God’s eyes too (see also Matthew 5:27-32). With that in mind, consider what would happen if you voiced your thoughts on killing the president, or posted on Facebook that you wished a teacher or fellow student was dead. To do so is illegal, and would prompt an investigation. You can, in fact, be legally arrested for this line of crime. Jesus’ words are why I stray from, for example, FPS games and wish other Christians would do the same. To answer your other questions, I recognize that I wasn’t very clear when I said “side hobbies” and “main purpose in life”, but what I was trying to do was give you a taste of how I feel about video games in my life, and how sometimes they can become my idol as opposed to the main focus: Glorifying God by Fulfilling the Great Commission. It’s great that you’re evangelizing! If the Holy Spirit works through that, it’s awesome. (I think the statistic is actually 150,000 die people per day) What I have personally found is that when I play lots of video games, I get used to communicating with faceless people online and fail to properly communicate in real dialogue. Yes, if Jesus is first in our lives he should be in every aspect of it, including video games. But I can’t help but think that other people in games will not be respectful of what you say and will think you a hypocrite for playing violent video games and then witnessing to them. I understand the real life military, I think that it is completely necessary. But to kill people for fun, even in a video game is, I believe, out of God’s will. Interestingly enough, I found this site after linking from your youtube channel, after clicking on your comment on Ray Comfort’s Audacity trailer, where you said you went to the premiere and rated the movie 10 out of 10. I can’t think of any movie I have been more excited for, as his ministry has helped me more than any other. I have finally been able to evangelize effectively and learned what being a Christian really means, talking with people because I genuinely care for their eternal welfare. This is also the motivating factor in what I am doing now, I would like to see Christians spiritually healthy, even though this seems small in comparison to what is being done at Living Waters. The simple answer to “Is this NOT the greatest place to share Jesus? Pay a few hundred/thousand dollars for gaming equipment. Then to pay that for 1 trip around the world. And people who don’t leave their homes/rooms how will they hear about Jesus?” is that we tell them. People go around the world all the time. “Go into all the world and preach the gospel to all creation.” (Mark 16:15) I guess everywhere is the greatest place to share Jesus.